“The recruitment process for the role I ended up securing was relatively straightforward. I attended the assessment centre day in February where I was involved in three group tasks and then went onto to eight individual interviews. I then received a phone call the following day where I learnt that I had been successful in my interview and that Bosch would like to offer me the placement opportunity. This was my first assessment day, so I was thrilled when I found out that I had been successful, it really boosts your morale. 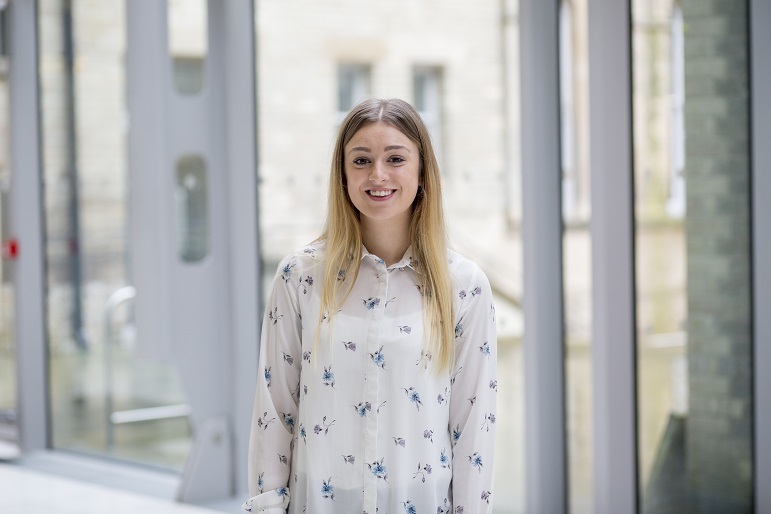 “In the first month of my placement I received a phone call from NTU to check that I had settled into my placement company and that I was enjoying the role. I also had a meeting around halfway through my placement from my placement tutor who ran through relevant documents that needed completing and to talk about the recall day where I would have to present my year at Bosch. The support was excellent and I knew that if I had any issues during my placement year that I could rely on NTU to be there for guidance and support. “The thing I enjoyed most about my placement was the considerable amount of responsibility that I was given, I was given the responsibility of the trade shows and quarterly communications, which would be sent out to the power, tools industry. This gave me a sense that I was contributing towards the business success and was treated as a full-time member of staff rather than a placement student, whose main role was to make cups of tea and coffee. “The various models that I had picked up through my modules in 2nd year were the main thing that I could apply to the working environment. In certain situations, I could see how certain aspects of theory linked up to the workplace.